I had dinner with a close friend of mine last night. She asked if I ever got irritable because she’s never seen me get annoyed before. I said to her that it happens when people wake me up from slumber. Then, I’m Miss Cranky Pants. I also told her about the sleeping mask I’ve been using to get some undisrupted sleep. It is amazing and totally works. You see, I’ve been really sensitive lately about my sleeping atmosphere. I’m finding that I have an aversion to modern technology during sleep time. More specifically, the light and sound from the TV and non-natural light in general (i.e. not sunlight). Having the TV on used to soothe me to sleep, maybe because I used to live alone and the sound would comfort me. Now, I find myself having weird dreams of someone else in the apartment when I do fall asleep with the TV on and I wake up in a semi panic because I’m hearing TV voices. (Ah!) Lights used to not bother me either; in fact, I used to like having a nightlight on in the bathroom. Now, even with the slightest bit of light, I get cranky. So since my fiancé and I are on different sleep cycles (he gets up before dawn and stays up way past my bedtime) I decided to try sleeping with a sleep mask. It makes a world of difference and I’m a happier sleeper. More so, my sleep feels fuller even if I get less than my desired eight hours, and I’m much more at ease when I wake up. No Miss Cranky Pants here. How do you fall asleep with distractions? Share your comfy night’s sleep remedies below. 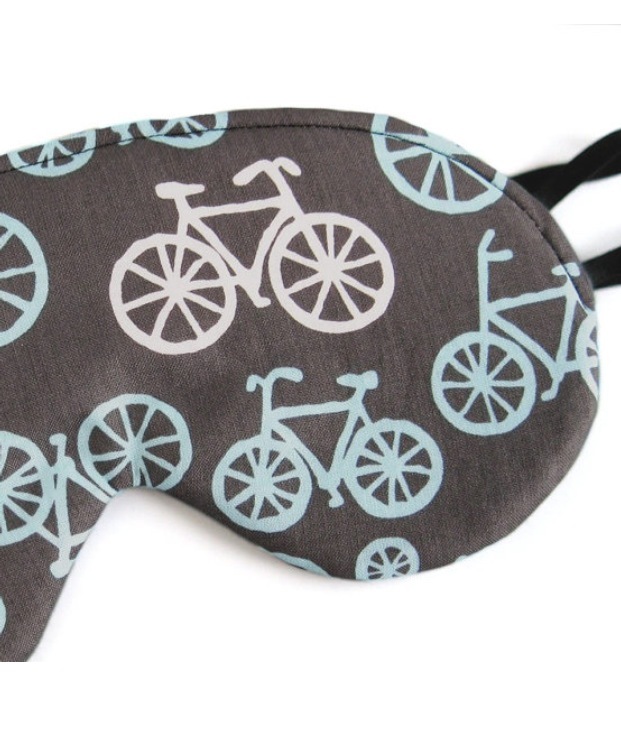 PS My sleep mask is from BibBon. It has two thin straps versus one thicker strap which makes it sit perfectly in place all night. Also, I find that it doesn’t leave you with crazy hair.